Tips for Editing Your Own Work. The human mind is a funny thing; it likes to play tricks on us. For example, when we proofread and edit our own writing, we tend to read it as we think it should be, which means we misread our own typos and other spelling, grammar, and punctuation mistakes as well as problems with word choice and sentence structure, context, and overall readability. If you have a friend or family member who has good grammar skills, maybe they can help you out by proofreading and editing your work before you send it out or publish it. For special submissions and publications, hiring a professional proofreader or editor is the best way to make sure your writing is free of errors. But for most of us, it’s not likely that anyone’s going to proofread and edit every single piece of writing that we create. That’s especially true for writers who put out a lot of material — like bloggers. Proofreading and editing services can get expensive, and friends and family probably don’t want to spend all their free time checking your work. Sometimes the only option available is to do it yourself. Proofread and edit every single piece of writing before it is seen by another set of eyes. No exceptions. Even if you hire a professional editor or proofreader, check your work first. Understand the difference between proofreading and editing. Edit first by making revisions to the content and syntax. Then proofread to check for proper grammar, spelling, and punctuation. Use the Track Changes feature in Microsoft Word when you edit. This feature saves your edits. You can then review the changes you’ve made and approve or reject them. Step away from a piece of writing before you proofread it. The longer the piece, the longer you should wait to proofread it. Let a novel sit for a few weeks. Let a blog post sit overnight. Before proofreading and editing, run the spelling and grammar checker. Then run it again after you’re done polishing to check for any lingering typos. However, don’t count on software for spelling and grammar. Use it as a fail-safe. Read your work aloud. Pronounce each word slowly and clearly as you read and check for mistakes. Proofreading should never be a rush job. Do it s l o w l y.
Don’t review your work once and then send it out into the world. I recommend editing until the piece reads smoothly and then proofreading it at least three more times. At the very least, proofread until you don’t catch any more errors. Read the piece backward so you can see each word separately and out of context. Look up the spelling of proper names as well as scientific and technical terms that you’re not familiar with to make sure you’re spelling them correctly. Don’t make any assumptions. If you’re not sure about something, look it up so you can fix a mistake (if there is one) and learn the correct way. Don’t forget to proofread titles, headlines, and footnotes. Pay attention to the mistakes you’ve made in your writing. You’ll find that you tend to make the same ones repeatedly. 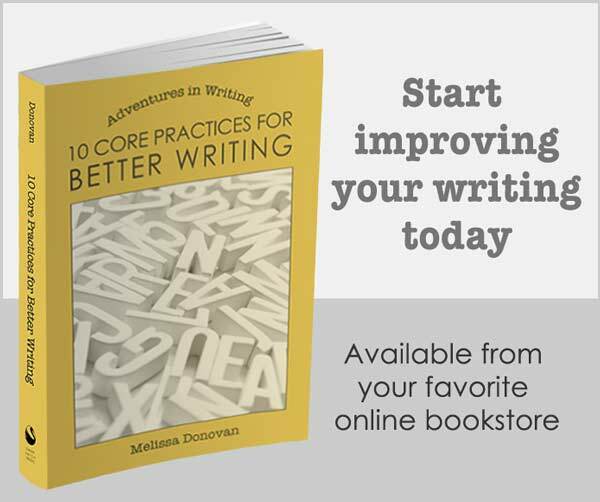 Keep track of these and work on avoiding them during the initial writing process in the future. Choose one of the many style guides and stick with it. This will make your work more consistent, and you’ll have a trusty resource to use when you have questions about style and formatting. Start building a collection of grammar books and writing resources so when you do run into questions (and you will), you have access to reliable and credible answers. If you intentionally let grammatical mistakes slip through, do so by choice and make sure you have a good reason. It’s okay to break the rules if you know why you’re breaking them. Pay attention to formatting. 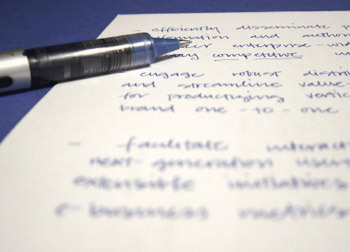 Use the same formatting on all paragraphs and headings for a professional level of consistency. Learn how to use these features in your word processing software (in MS Word, this feature is called Styles). Proofread when you’re fresh and wide awake. Proofreading doesn’t go over well when you’re tired or distracted. Proofreading and editing can be tedious, so break up your revision sessions by doing other tasks that help you clear your mind: exercise, play with the pets or kids, go for a short walk, or listen to some music. Try to avoid reading or writing during these breaks. Make it your business to develop good grammar skills. Read up on grammar or subscribe to a blog that publishes grammar posts (like this one) to stay up to date on proper grammar. Some people love the proofreading and editing process. Others despise it. If you’re into grammar, the mechanics of writing, and polishing your work, then proofreading and editing will be easier and more enjoyable for you. If not, just look at it as part of your job — something that goes along with being a writer. And once you’re done proofreading and editing, make sure you get back to your writing. Got any proofreading and editing tips to share? Leave a comment! These are excellent tips! I love being eco friendly but find proofreading easier when I actually read the printed page. I do not use this method for every blog post but absolutely do for client work or longer pieces. It is so easy to miss errors on the screen, especially those where the word is spelled correctly but is the wrong word – quite, quiet, quit come to mind. I had to make a concentrated effort to teach myself to proofread and edit on the computer rather than in print. It was not easy at first! But now, I rarely hook up a printer to my computer (I’m trying to go 100% electronic). 101 Best Websites? I’m only aware of one publication where that particular list appears, and if it’s the one I’m thinking of… well, let’s just say I might freak out a little. Oh yes it’s that one! You didn’t know? 🙂 You’re listed under writing communities and they even cited “Are You Cut Out For Freelance Writing?” I got an error by the way when I tried to pull that up. I was so excited and just assumed you knew too. Whoo hoo, happy dance! Yes, I recently took that post down and just moved it to Scribizzy. Hmm. Wow! I’m excited. I am going to have to get a copy of that issue. Yes, proofreading is so tedious. I got lucky because I enjoy tedious tasks since they break up the monotony of other types of work, so I actually love to proofread. In any case, it’s definitely worth the time it takes. Thanks, Lori! I always promote proofreading and good grammar. These things are sort of the underbelly of creative writing. Now I am trying to proofread the picture that was used in the post, haha. Heheh, good luck with that, Kelvin! That would have been an interesting challenge to add to this post. Proof reading…what a novel concept. Novel indeed! It’s as old as the hills, yet so many still refuse to include proofreading as part of being a serious writer. Alik, that’s one of my weak spots too, so that’s why it appears here in this list. Funny, because as bloggers we put those titles and subtitles in there so readers can scan, but then when we’re proofreading, we just ignore them. That seems so backwards! I like how you broke your list down into incremental, practical steps. You’re so right … the human mind does like to play tricks on us. I can’t prove it, but I think sometimes my mind is out to get me. Sometimes I wish my writing was more like what I meant, not what I said. Other times, I wonder who hijacked my brain and took it for a test drive. Sometimes it’s obvious the crash test dummy was driving. Thanks, J.D. I know my mind is out to get me, and proofreading is the least of it! Heheheh. My brain gets hijacked all the time. Sometimes it turns out to be a good thing. But there’s nothing worse than being in the middle of a fantastic writing session when it all suddenly disappears, and I find myself sitting there wondering, what was I just about to say? Ugh! These are fabulous tips Melissa. I find that if I print out the page I can see mistakes that I didn’t notice on the computer screen. I also agree that if you can wait from one day to the next to proofread you will do a better job than if you proofread immediately after writing something. Thanks, Marelisa. I’ve been proofreading on the screen for so long now that I think more mistakes will slip through in print (for me). Waiting overnight is key! I have a strict rule about waiting overnight on any client work, but sometimes I do publish blog posts the same day, and yes, occasionally little typos and other annoying errors slip through. My biggest proofreading trick is distance. Put it away, think about something else, and try to sneak up on it fresh. The worst thing is when you’ve gone over it and over it and a blatant mistake is right there; but your mind is too numb and accommodating to see it. Reading it as though it was the first time, reading it as a reader might, is how I catch 90% of my mistakes. Yes, many people seem to agree that this is the most important tip for proofreading. I’d say it’s true for editing and revising as well. I recently heard a novelist say that she always lets a book sit for at least six weeks before the final edit. It really does give you a fresh perspective. Hi Melissa! Great tips and each one is important. What I love is discovering a blatant mistake (or several mistakes) after publishing. Writing on a word processor is so different than blogging, and I actually prefer the format. Really, I can only put so much effort in proofreading for my blog as I work too many hours to care. Writing in proper manuscript form is so tedious and when you have a few hundred pages of text, it can be a nightmare. When I get close to being ready to have an agent, I will definitely hire someone to proofread my manuscript (it maybe you that I hire). Reading my own writing can create a type of “mistake blindness”. A fresh set of trustworthy eyes will help a lot. Ugh, I go crazy when I discover big mistakes post-publication. Even the little ones annoy me. They bother me on my websites and not so much on other people’s, unless it’s an obvious disregard for grammar. I’d love to help you with your proofreading. You know how to reach me! Hope you get back to regular blogging soon! If I find one more “you’re” instead of “your” in my blog posts, I’m going to throttle myself (if that’s possible). That and errors in my use of commas are driving me crazy. So, I surfed to your site and found this fantastic article. Just what I need. I’m particularly intrigued by the “reading backwards” suggestion. I think I’ll try it. The more I write, the more likely I am to make mistakes. So, I think blogging on a regular basis has become a proofreading challenge and new learning curve. At the same time, I’m forced to just be okay with some mistakes and typos and let them slide. Otherwise, I’d publish a lot fewer blogs. Anyway, thanks for the useful tips. And keep up the good work! I give myself a lot more slack with typos when it comes to blogging. I still cringe when I find one, but like you said, the more we write, the more likely we are to make mistakes. I do believe good grammar is important, but I don’t think it’s as important as content (or creativity). Just look at ee cummings! After my first read-through for obvious typos/tense/etc issues, my next step (and one I never skip) is systematically running chunks of text through “editminion.” This allows me to target passive voice and cliches immediately (because when I edit them, I have a tendency to miss a verb tense change here and there – and doing this before in-depth read-throughs saves me a lot of tears later.) You are very right about not relying on software completely, and as the years go on, there are fewer mistakes for these programs to catch. Hi Ricky. I haven’t heard of “ediminion,” but it sounds interesting. I usually run a spell/grammar check before my final proof, but I use it as a fail-safe for catching typos that I may have missed. Other than that, I try to stay away from editing software. However, I know a lot of writers use such software, so thanks for sharing your favorite with us. 22 – The second time you proofread your work – don’t do it on a computer screen. Either print it and proofread that or send the document to an ebook reader and use that. 23 – Get a text to speech program and have that read the document to you while you follow along. You read what you want or expect it to say. A text to speech program will read what is actually there. I use ‘Text Aloud’ but there are lots of others including free options. None of them get the pronunciation completely correct though but that’s OK – it can make you smile. Thanks for adding these, John. I print big projects but not blog posts or page-length projects. Therefore, I rarely print to proofread. I haven’t tried text-to-speech, but it sounds promising! Thank you very much for posting this article. Proofreading is really tough for me. I miss mistakes and typos all the time(( Do you think I should hire a professional proofreading service all the time or only for the most important works? Hi Seiko. 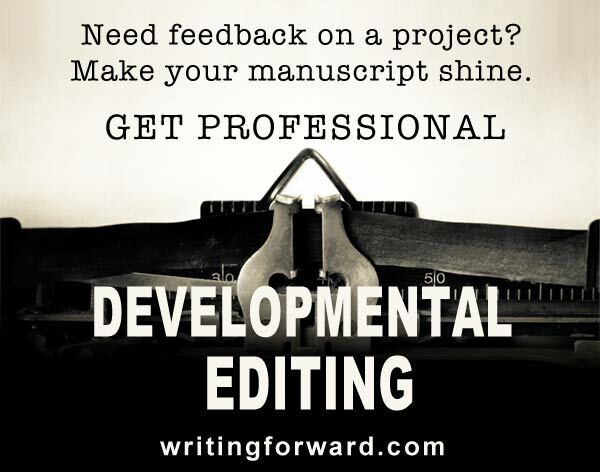 Hiring a professional editor depends on many factors: your budget, skill level, the type of projects you’re producing. So I really can’t advise specifically, but if you are publishing a book, then yes, you should definitely get it professionally edited. Authors should still revise and proofread their own writing even if they are working with a professional editor, so that would be a good habit to get into. Best of luck to you! Thanks for this good article. You offer a lot of helpful ideas here. I especially like the suggestion of reading out loud. I do this often, and I know a lot of other editors who do the same. Keep up the good work!